The New Luncher has a clear goal – to help parents instill good, healthy eating habits in their kids. 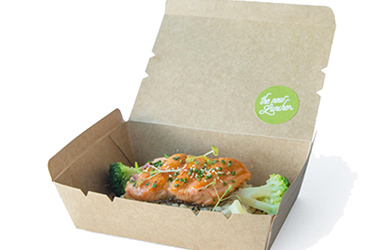 To this end, they cook and deliver healthy and tasty lunchboxes to children in their schools. The meals use the best farm-to-table ingredients, organic where possible, sourced from trusted owners and suppliers and cooked by a chef – Emmanuel Stroobant and his team. Emmanuel is the chef-owner of fine-dining French restaurant Saint Pierre at One Fullerton apart from several food-and-beverage brands under the Emmanuel Stroobant Group). The food is freshly cooked each morning – Western, Asian and Vegetarian with a selection of fresh and tasty add-ons. The lunchboxes are delivered to school in sustainable packaging. The meals begin from S$ 7.90.